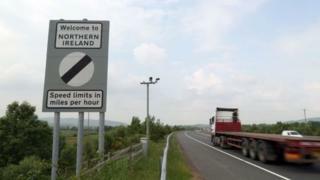 There would be a return to violence in Northern Ireland if there was a hard Irish border due to a no-deal Brexit or a rushed border poll, claims a report. The new research was conducted by Irish Senator Mark Daly in conjunction with two UNESCO chairmen. Mr Daly said the report "highlights the responsibility of the UK government to stand by the backstop". Both the EU and the UK government have said they are committed to avoiding the return of a hard border after Brexit. Mr Daly said the EU needed to ensure there was no return to a hard border "in light" of the findings included in his report. The research was conducted by Mr Daly in conjunction with UNESCO chairmen - Prof Pat Dolan and Prof Mark Brennan - with input from Michael Ortiz who served as the first US diplomat on the issue of countering violent extremism in the US State Department during the Obama administration. Media captionWould you notice if you crossed the Irish border? The report states: "In as little as six weeks it is possible that a hard border could materialise due to a no-deal Brexit, triggering a return to violence in Northern Ireland." The authors said the only question was about the scale of the violence. It highlights the issue of "loss of memory of harm" among the "Agreement generation", a term applied to the generation born just before or since the 1998 Good Friday Agreement. The report states that many young people have no first-hand knowledge "of the horror of the Troubles or the devastating consequences of violence". It adds that some have "been given a romanticised account of the conflict". In Novembe,r PSNI Chief Constable George Hamilton rejected claims that the threat of violence at the Irish border after Brexit was being exaggerated. The PSNI is to recruit 102 extra officers by April in preparation for Brexit. The research also "emphasises the serious problems facing the present generation, especially those who live in the most disadvantaged loyalist and republican areas". The report suggests a "key element in preventing violent extremism is the role of community level leadership, which can counteract the emergence of violence by providing a space for interaction between different traditions". The report also acknowledges "the positive work done in Northern Ireland by many individuals, groups, schools and civil society organisations". The withdrawal agreement struck by the EU and Prime Minister Theresa May - but rejected by Parliament in January - contains an insurance policy known as the backstop. 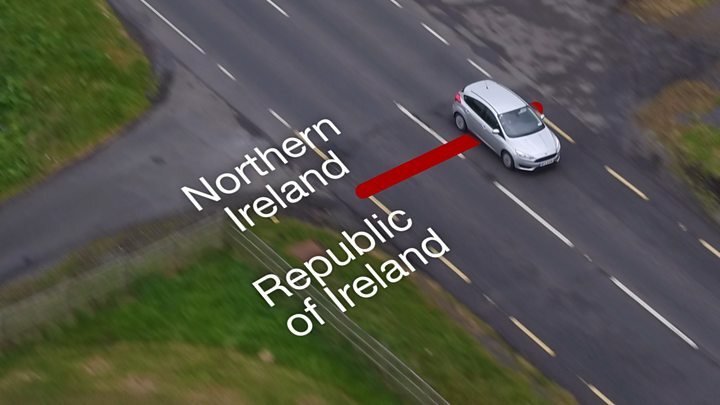 It is designed to avoid a hard border between Northern Ireland and the Republic of Ireland after Brexit "under all circumstances". 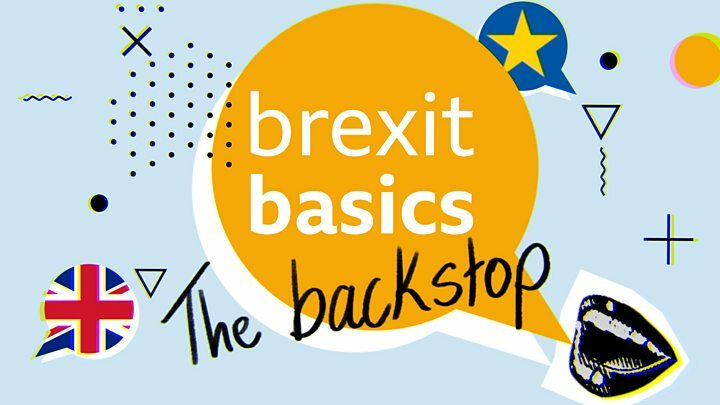 The backstop is opposed by many backbench Conservative MPs as well as the DUP, which opposes Northern Ireland continuing to follow some EU rules and the resulting regulatory divergence with the rest of the UK. Labour Party leader Jeremy Corbyn has also expressed unease that the UK could be tied into the backstop indefinitely. The Republic of Ireland and EU have said there can be no renegotiation of the Brexit deal or the backstop. This month, Conservative MP Jacob Rees-Mogg said there will not be a hard border on the island of Ireland, even in a no-deal scenario. The chairman of the European Research Group said there may be changes but there would "not be a hard border". The DUP's Brexit spokesman Sammy Wilson has previously said "good luck to them [the EU] if they think they can put a hard border up". His pledge came as Ireland's Europe Minister Helen McEntee insisted that her government would "absolutely not" renegotiate the backstop. In December last year, the Police Service of Northern Ireland (PSNI) confirmed it would recruit an extra 308 officers and staff by April 2020 after receiving £16.5m in Brexit funding from the Treasury. The force bid for the additional resources in light of the potential challenges posed in policing the border after the UK's EU exit. That report - entitled Brexit and the Future of Ireland: Uniting Ireland and its People in Peace and Prosperity - was also compiled by Senator Daly.